What makes your rental property more appealing to prospective tenants? As diverse as renters can be, there are some commonalities they look for when it comes to finding a great place to live. Many tenants have their non-negotiables, such as a washer and dryer or outdoor space, while there are other amenities they may be fine with not having if their non-negotiables are met. Here are some of the most popular features that tenants look for in a rental property. Laundry facilities are often the one deal breaker that tenants insist on. Most people want to keep daily and weekly hassles to a bare minimum, so providing a washer and dryer to tenants is a convenience they’ll appreciate. For small rental units, compact all-in-one washer-dryers can fit in a small spaces, like under kitchen counters, in closets, or a bathroom. And washer and dryer hookups are better than offering nothing at all. 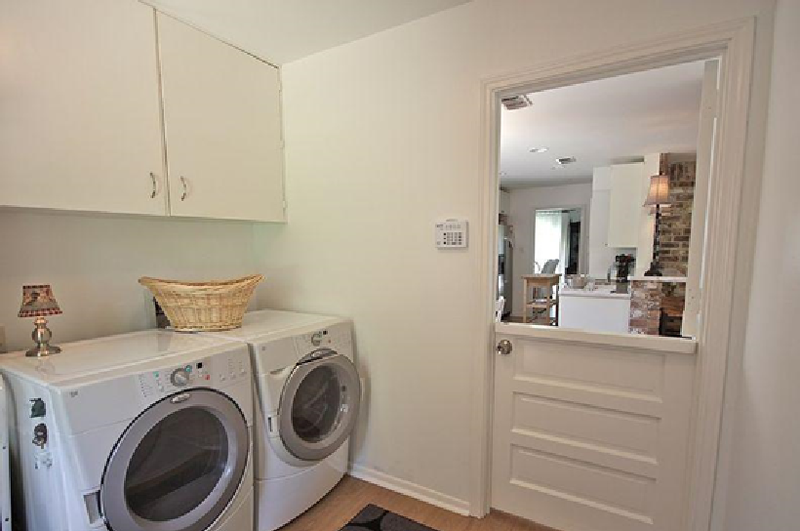 For larger buildings, coin-operated laundry rooms will differentiate your rental unit from a building that doesn’t offer laundry facilities and makes tenants rely on the nearest laundromat. Lugging groceries a long distance, or struggling to find a parking spot after a long day at work can be a real annoyance that any tenant with a car will want to avoid. Many renters are willing to pay a premium just to have a parking spot. After all, for people who rent a home, their vehicle is usually their most valuable asset, so off-street parking is an appreciated way to keep that asset safe. While parking in locations like San Francisco, where many people use Uber, Lyft, public transportation, or car shares, may be less important to some renters, by and large, available parking is one of the most important features that prospective tenants look for in a rental. Depending on where a rental unit is located in the Bay Area, air conditioning may or may not be a requirement for renters. In fact, in locations on the coast, such as San Francisco, Pacifica, and Santa Cruz, air conditioning is a rarity in older properties. But the heatwave that hit the Bay Area in 2017 changed a lot of people’s attitudes about air conditioning. With temperatures reaching 106 degrees in San Francisco and even higher inland, many Bay Area residents were begging for relief. As temperatures rise due to climate change and other factors, providing air conditioning, even a portable unit, can be a compelling differentiator that sets your rental property apart. Having access to nature and some kind of outdoor space is healthy for people and helps to lower stress levels. Even small courtyards or balconies can make a huge difference in whether a potential tenant chooses your rental unit over another one. If you can’t provide personal outdoor space, common areas where tenants can socialize and be outdoors can bring added value to your property. For urban areas, roof decks can serve as the building’s shared “backyard” and an opportunity for some green space and breathing room. Just like outdoor space, natural light is healthy for people, physically and emotionally. Ways to let more natural light into a rental unit include large windows, such as bay windows, French doors, and skylights. So, if you’re doing renovations on a rental unit, keep in mind that more natural light flooding into your property can help boost its overall appeal and add to its value. A well-maintained property reflects positively on you as a landlord. Fresh paint, new carpeting or flooring, new appliances, and new countertops are all big selling points when marketing a property to potential tenants. It helps people to feel like they’re getting something new in their new home instead of moving into a place that’s tired and worn out. One if the least expensive ways to upgrade a rental is adding new light fixtures, cabinet knobs, door handles, and other hardware that gives the unit a fresh and consistent look. The financial planning site Bigger Pockets says that “nothing says ‘cheap landlord’ as much as mismatched, bargain appliances.” As items that get used on a daily basis, appliances make a difference in how tenants perceive a rental unit. Stainless steel appliances will present a modern, updated look, or all white appliances can make a kitchen look fresh and clean. All black is another great look, depending on the style of your property. Everyone needs closet and storage space, especially those who live in apartments and don’t have the standard garage that comes with a single-family home. Offering extra storage for tenants to keep bicycles, holiday decorations, winter clothes, tools, and anything else they don’t use on a regular basis is a great way to increase the appeal of your rental property. In addition, if tenants have to pay a storage facility a monthly fee, it’s like paying higher rent, which might make them look for a more expensive property where they can keep all of their belongings on the premises. Sometimes extra storage cubbies can be made in walls, under stairways, in attics, and other locations. Or, if there’s not space for extra storage in the rental unit itself, offering it somewhere in the building can be better than not providing any storage at all. Open floor plans have become increasingly popular in new housing construction, as kitchens morph into living areas that encourage more quality social time. If you can open up aspects of your rental, it can add to its marketability. It can also make a small space look a lot bigger, which can justify higher rent. Taking down non-structural walls, in particular between a kitchen, dining, or living area, adding bay windows and skylights, and even putting in a cathedral ceiling can all open up a space and add to its overall appeal. One of the most common reasons that tenants will want to move out of a rental property is noisy neighbors or excessive street noise. Soundproofing walls, ceilings, and floors can be a way to give your tenants more privacy and shield them from noisy neighbors. And double paned windows are an optimal way to cut down on street noise. Like other upgrades to your property, if you do add soundproofing, be sure to use it as a selling point when you market your property. Security is important to every tenant and there are a variety of ways you can add security features to your rental property. Adequate lighting outdoors, in hallways, the garage, and other areas are security essentials. Peepholes in doors are useful too, as are wooden dowels placed in the bottom of sliding glass doors and windows. The landlord tips site Landlordology recommends changing the locks with each new tenant, including putting in deadbolt locks. You can also take things a step further with alarm systems and security cameras in common areas. Make Life Easier. Work with the Bay Area’s Experts in Property Management. At Intempus Property Management, our goal is to help you get the most from your real estate investment. That’s why we offer a full spectrum of real estate and property management services, coupled with unmatched customer service. We’ve been serving happy property owners across the greater Silicon Valley and San Francisco Bay areas for well over a decade. Contact us today to discuss your property management and other real estate needs. We’ll be happy to help you!